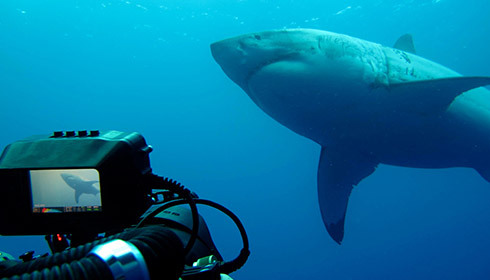 Great white sharks are incredible animals to watch, learn about and dive with. The team at Shark Diving Xperts have compiled the following list of facts to help you learn even more about their behavior. 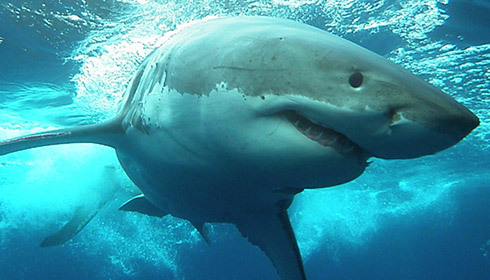 What do white sharks eat? Who are the local great whites? Since diving began at Guadalupe Island our team have come to know the sharks of Guadalupe well and have documented over 200 individuals. Some sharks have been seen for over 10 years, many returning each year to the delight of both our team and our cage divers! Learn about the famous "Lucy"! This is one of the great things about our sharks. Each shark displays a different and unique personality or behavior when they visit the boat. Some are shy and cautious whilst others are more bold and confident. It is these personalities that have enabled our team to get to know the sharks at Guadalupe so well over the years. Meet 'Shredder' the shark! Do great white sharks migrate? 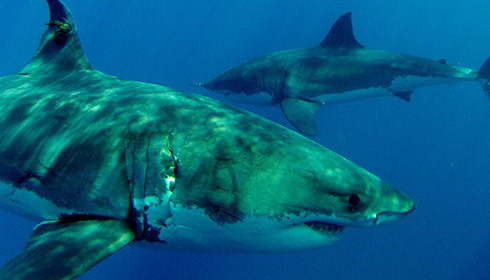 How do white sharks reproduce? 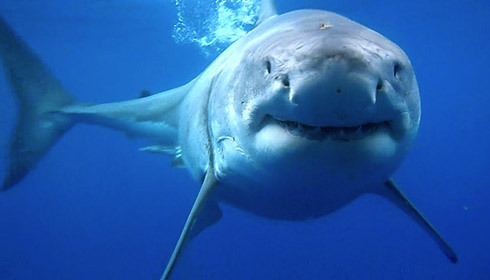 Why are great white sharks in Guadalupe? 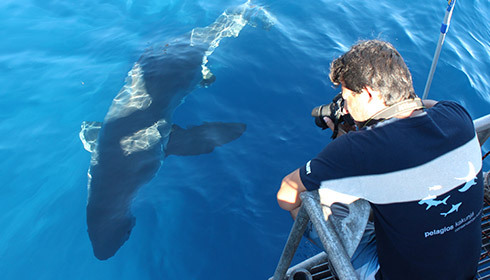 Are Guadalupe great white sharks tagged? 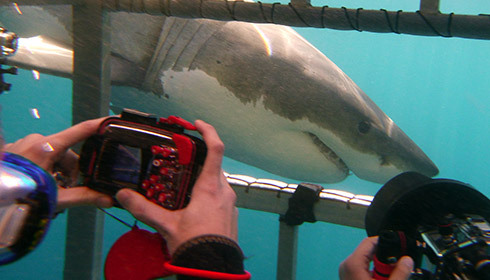 Many forms of research have been done on the sharks at Guadalupe over the years including using tags. You may even see some of these individuals during your time in the water. Ongoing studies from scientists are using these methods to try to discover and unravel many of the migratory and behavioral mysteries still yet to be solved. 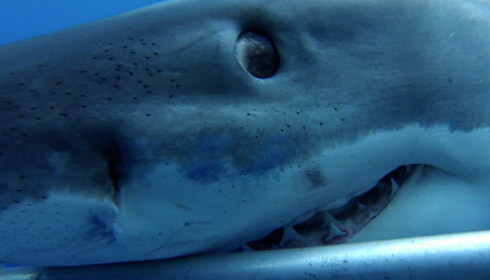 Learn about the world famous 20ft "Deep Blue"
What speed and depth do they swim at? 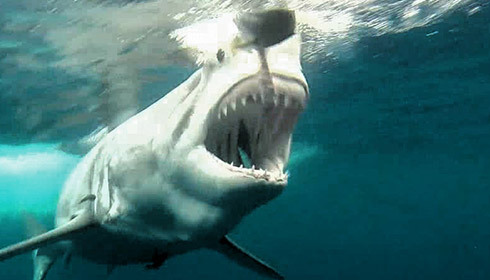 Great white sharks have been clocked at speeds of between 25-30 mph when hunting for their food. They use these short bursts of energy in order to catch their fast moving prey such as Seals or Tuna. 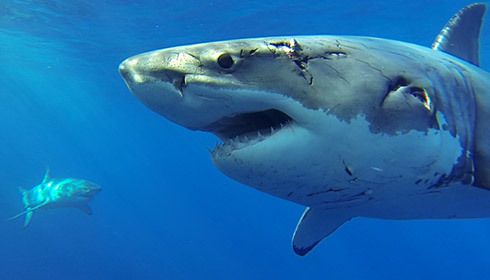 When migrating away from Guadalupe, tagged sharks have been recorded at depths of between 3000-4000 ft! 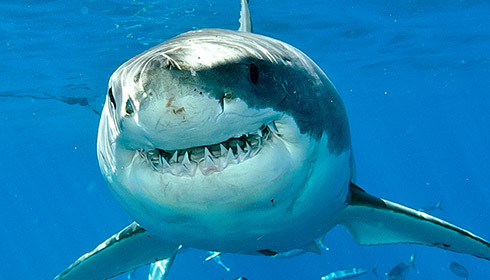 Learn about Great White personalities! It is believed that between 100 – 200 different individuals visit the Island each year. Although worldwide estimations are difficult to make, one latest figure estimated that there may be as little as 3000-6000 white sharks left on the planet. That means there are less great white sharks left than tigers! Another reason for you to come and meet one. Book your trip today!